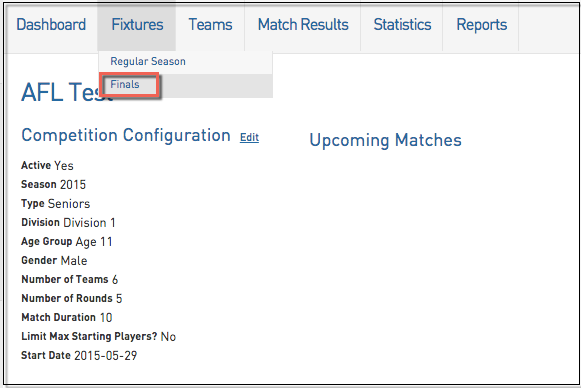 Finals Fixtures are created in the same way as the normal competition fixture and is based on the Finals Fixture Template selected in the Competition Setup. 2. Select the Competition name that you wish to create the fixture for. 3. Hover over Fixtures and click Finals. 4. Click Generate Competition Finals Fixtures. Once the final round of the normal competition season has been completed, this grid will then auto populate with the teams that are eligible for the finals. 5. 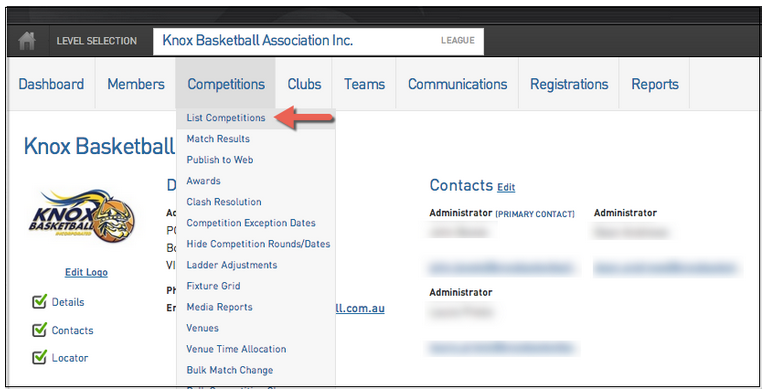 To make any changes to this fixture then click on the section that you wish to edit and select the new option from the drop down box or the calendar pop up. Rounds can also be added into the Finals Fixture just the same as they can be in a normal competition.